the decoupling board Wolf Entkopplungsplatte. Furthermore we provide all for the installation needed equipment under the product range Wolf Supplements. All elements can be installed in an easy, dry and quick way. Construction time can be reduced by up to 8 weeks leading to a reduction in construction costs as well. 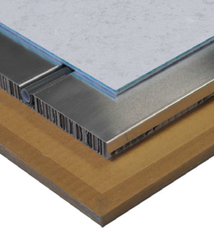 There is a wide range of construction heights so the boards can be laid in multi layers if required. 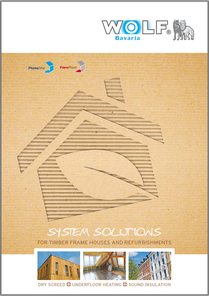 The high weight of the PhoneStar boards adds structural stability and thermal mass to timber frame buildings. The slimness of system ensures that the actual room height will not be reduced.